The Internet has made it easier than ever for investors to share ideas, as evidenced by the rise of websites like SeekingAlpha and social media networks like StockTwits. 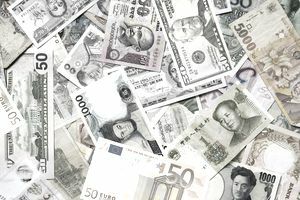 International investing blogs can provide breaking news commentary, insightful analysis, and individual ideas for international investors to consider when investing in exchange-traded funds (“ETFs”), American Depository Receipts (“ADRs”), or foreign securities. Let's take a look at the top ten international investing blogs that investors should consider following to keep abreast of the latest trends, especially because many domestic newspapers and websites don't adequately provide coverage on international markets. Charles Schwab's international investing blog provides great insights into global markets, including exceptional macroeconomic commentary. In addition to blog posts, the website provides videos and infographics that can help you understand everything from where interest rates are headed to what constitutes an emerging market and why you should care. You won't find any stock picks on this blog, but you can get a world-class education in international investing. Mike “Mish” Shedlock is a registered investment advisor for SitkaPacific Capital Management. On his popular Mish Talk blog, he provides insightful commentary on both U.S. and international macroeconomic trends as it relates to economic and financial performance. The blog entries provide insights that go beyond the headlines reported in the news using economic principles to explain where the markets may be headed. Oddball Stocks is a popular financial blog written by Nate Tobik that focuses largely on international investment opportunities. Unlike many financial blogs focused on macroeconomic trends, Oddball Stocks focuses on individual investment opportunities in international markets. Often times, these opportunities are individual ADRs, foreign stock, or the occasional ETF, which may be helpful for international investors conducting due diligence. ZeroHedge is a popular macroeconomic investing blog that focuses heavily on hedge fund trading (e.g. high-frequency trading), macroeconomic analysis, and commentary on public debt. While some of the blog posts take somewhat extreme viewpoints, investors would be wise to watch ZeroHedge to see what may be happening behind the commentary on major media outlets. Gavyn Davies is a financial blogger with the Financial Times that covers macroeconomic news and events. Mr. Davies covers macroeconomics, economic policymaking, and the financial markets with posts on Sunday’s. Often times, Mr. Davies’ posts can provide key insights on market-moving events like interest rate decisions, political events, and central bank commentary. The Economist is ubiquitous among international investors with its in-depth coverage of international news, events, and opportunities. On its website, the Economist blogs about all of these topics and more, providing international investors with a great resource. These blogs include the Buttonwood’s Notebook that covers geopolitics and international markets. The World Bank plays an important role in the global financial community with the dual mandate of ending extreme poverty and boosting prosperity. With feet on the ground in many countries around the world, the organization provides in-depth insights via its unconventional blog. The Global Macroeconomic Team blog, in particular, provides valuable insights into market-moving events. The Franklin Templeton Emerging Markets Blog provides unique perspectives on emerging markets around the world, including unfolding current events. A variety of international contributors offer insightful posts and commentary. The Financial Times’ Beyond BRICs blog is focused on covering emerging markets around the world. Since Brazil, Russia, India and China already receive a lot of coverage, the blog specializes in covering other emerging markets that might not be quite as popular. The blog also features the ability to filter blog posts by a specific country or region, enabling investors to find the most relevant information. Frontier Strategy Group’s Emerging Markets Insights blog provides insightful commentary into many emerging markets around the world. Rather than covering basic macroeconomic policies and news, the blog dives into specific countries, sectors, and companies that it believes pose the best opportunities. International investors can therefore use the blog as a starting point for further research. What Is Foreign Direct Investment and Its Impact on Investors?